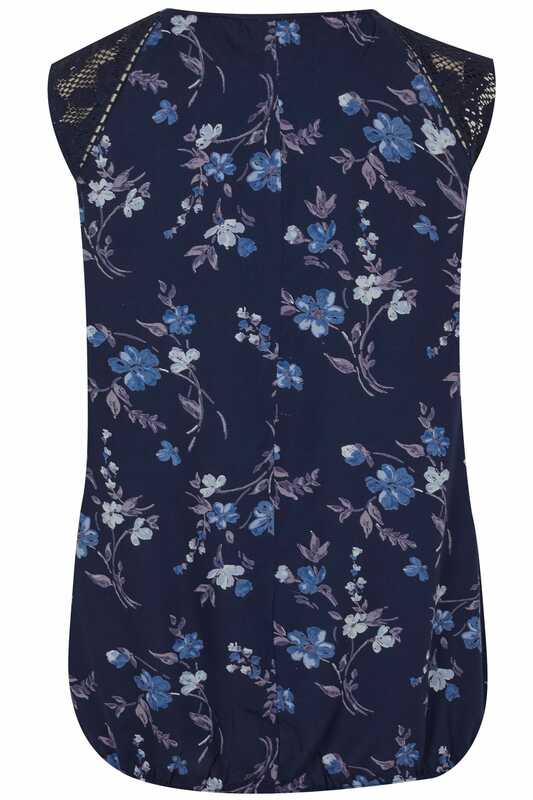 In a stylish floral print, this sleeveless bubble style top features lace shoulders with an elasticated hem for a comfortable fit. Ideal for everyday wear, team with skinny jeans and pumps to complete the look. 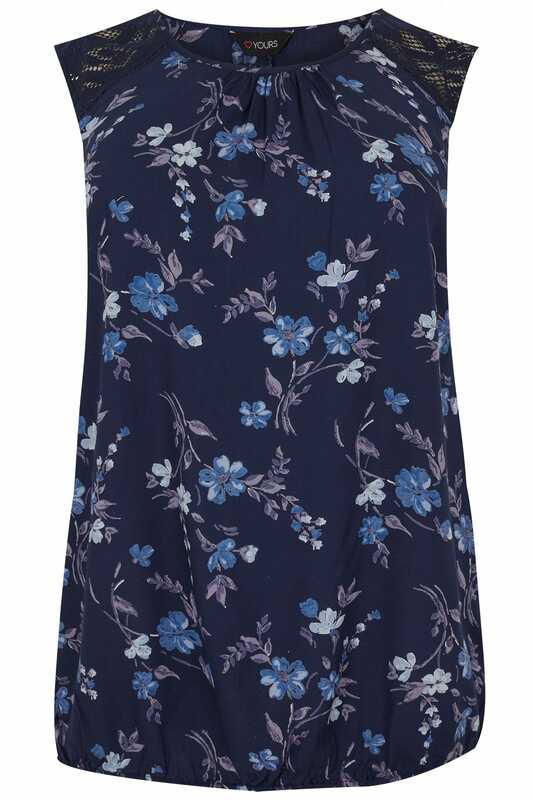 We are loving the navy hue and floral print.